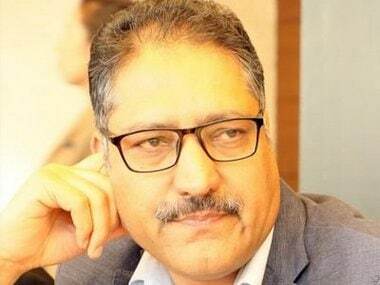 Srinagar: A preliminary police investigation has revealed the role of Lashkar-e-Taiba (LeT) top commander Naveed Jatt and his two other accomplices in the killing of Rising Kashmir founder and editor-in-chief Shujaat Bukhari. Naveed had escaped from Shri Maharaja Hari Singh Hospital (SMHS) in Srinagar on 6 February this year and had since then been active in many militancy-related incidents. Director General of Police, SP Vaid, said that Jatt’s name had surfaced from the first day of the killing, but he said that any disclosure would be made at the press conference in Srinagar that will be held "in a day or two". A police official said that besides Jatt, a Pakistani national, the other two militants — who are largely operating in the militancy-infested area of Kulgam — are also responsible for Bukhari's killing. On 14 June, three gunmen had opened fire on the Rising Kashmir founder and editor, which left him dead outside his office at Press Enclave in Srinagar. One of his special police officers (SPOs) had also died at the spot, while another one succumbed to his injuries later at the hospital. A police official said that even though Jatt works for LeT, his escape from the SMHS hospital was jointly carried out by Hizbul Mujahideen and LeT. He said that the four people were arrested from Pulwama area for helping Jatt escape from police custody. He said that the top HM militant commander, Riyaz Naikoo, had coordinated the release of Jatt from the custody of police at the SMHS hospital. A senior police official said that they have procured evidence in the form of closed circuit television (CCTV) footage. 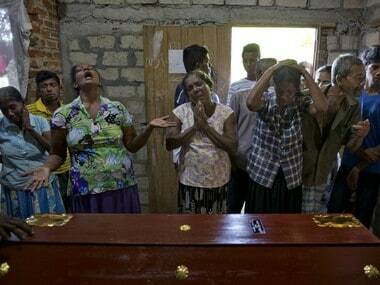 The Forensic Science Laboratory (FSL) details of the bullet casings found in the case and the disclosures would be made public soon. Another official investigating the case said that one of the persons had kept a watch on Bukhari and as soon as he had stepped out from his office, he alerted two others. Soon, he and his PSOs were confronted from all the sides and attacked. Jatt and his two other associates had ridden on a motorcycle and fired in the air for some time to prevent people from quickly carrying Bukhari to the hospital. They had raised slogans of Allahu Akbar (God is Great) before escaping from the spot and drove through the busy Regal Chowk road. They eventually fled through the Barbarshah bridge. The LeT has, however, denied its involvement in the case. Earlier, LeT chief Mahmood Shah said in a statement that he "strongly condemned the martyrdom" of Bukhari, adding that the killing "is a conspiracy hatched to suppress the voice of indigenous freedom struggle". 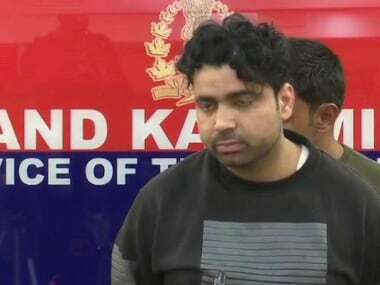 Since his escape from the SMHS hospital, police officials said that Jatt remains active on the militancy front and has been involved in many attacks on government forces. He is now a top-rated militant who falls in the A ++ category.